The Cinecon 44 Classic Film Festival takes place over Labor Day weekend, 28 August 1 September, in Hollywood. The festival feature nearly thirty silent and early sound features and multiple short subjects, with an emphasis on titles rarely given public screenings. This year’s lineup include Douglas Fairbanks in The Mollycoddle (1920), UCLA’s recent restoration of Tillie’s Punctured Romance (1914), Harold Lloyd in The Freshman, Larry Semon in Spuds (1927), Lon Chaney in a resotration of the long-lost Triumph (1917), Tom Mix in Sky High (1922) and Hobart Bosworth in The Blood Ship (1927). The Cinesation film preservation festival takes place Film Preservation Festival 25-28 September, at the Lincoln Theatre, Massillon, Ohio. 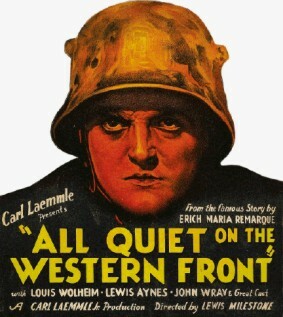 It also showcases silents and early sound features. The programme (particularly the short subjects) is still being finalised, but among the promised titles are Kenneth Harlan and Viola Dana in The Ice Flood (1925), Ken Maynard in The Grey Vulture (1926), Madge Bellamy in Soul of the Beast (1923), Oliver Thomas in Everybody’s Sweetheart (1920), Sessue Hayakawa in The Typhoon (1914), Lillian Gish in Sold for Marriage (1916), Constance Talmadge in Her Sister from Paris (1925) and the silent version of All Quiet on the Western Front (1930).